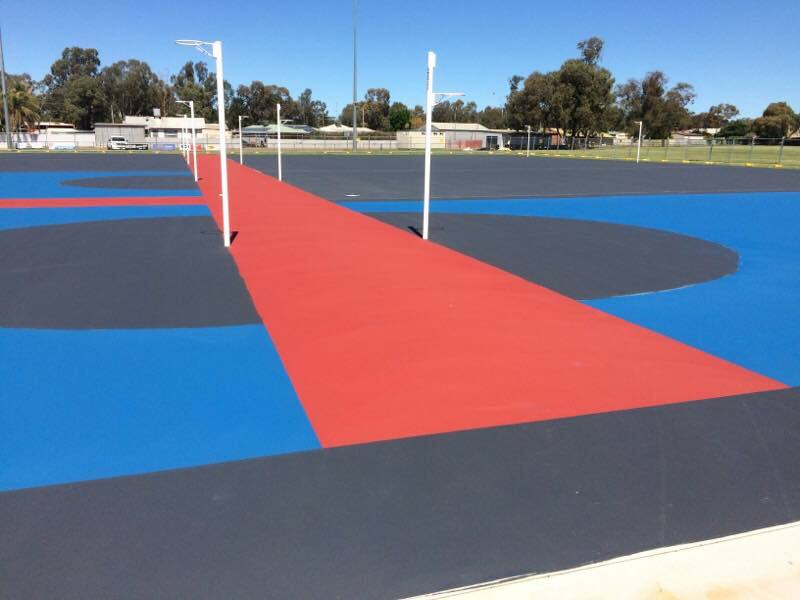 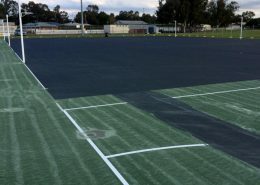 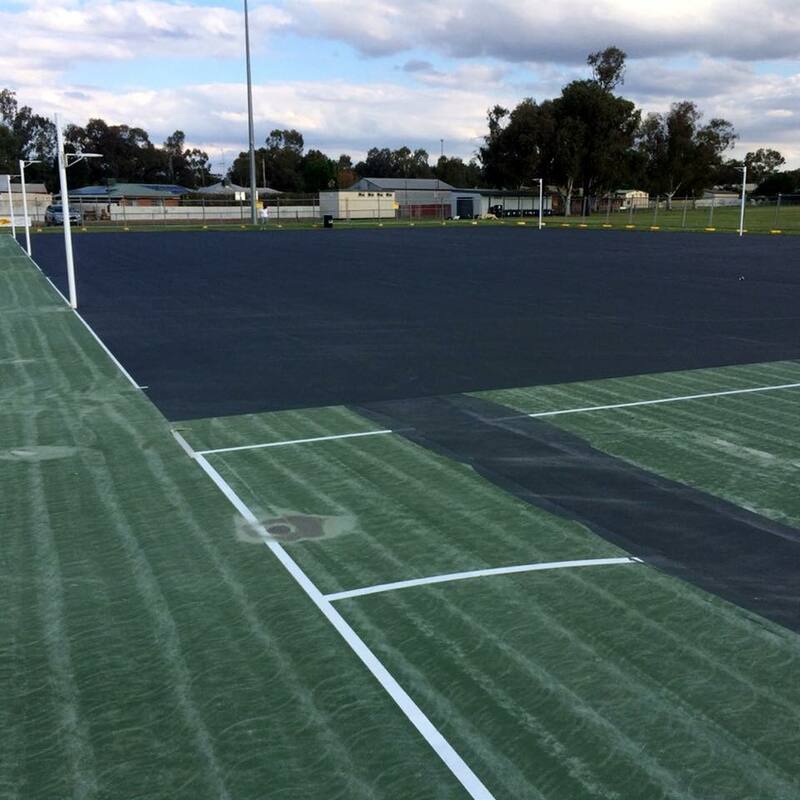 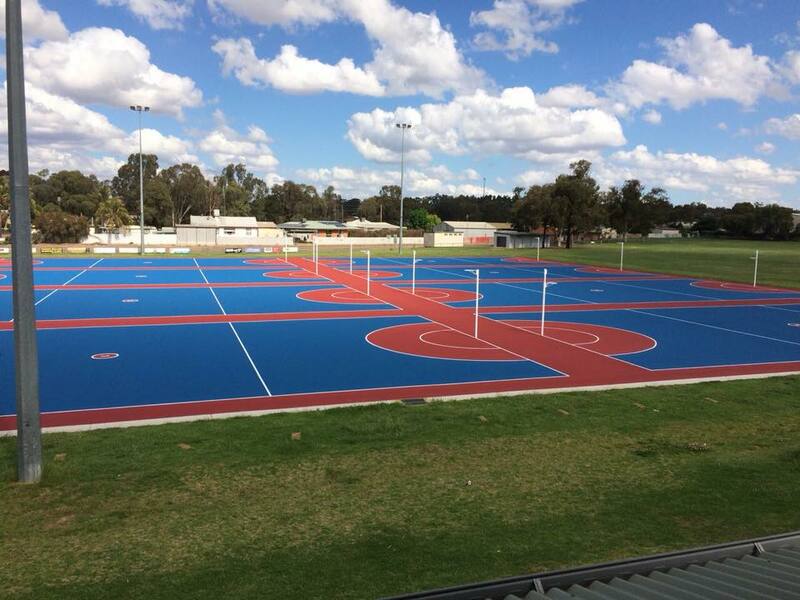 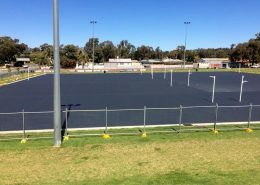 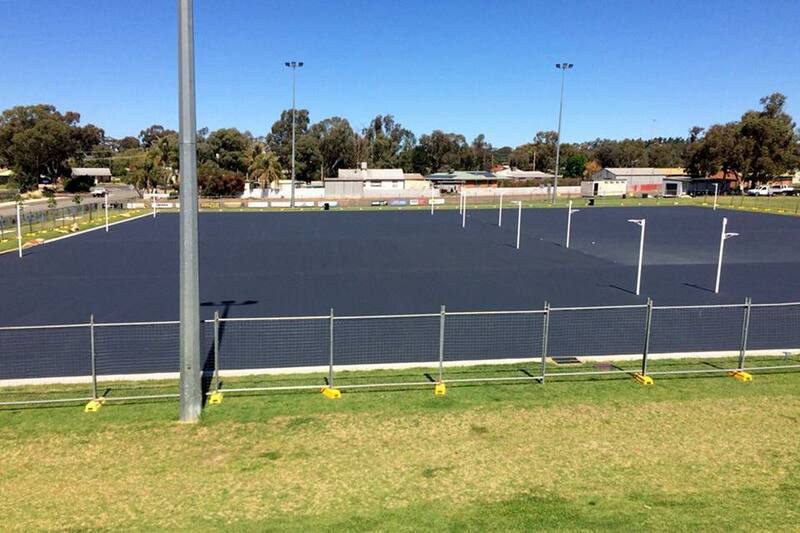 Court Craft was contracted to resurface the 8 netball courts located in McGlynn Park, Parkes. 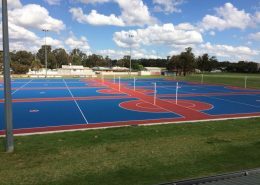 Works included pond filling, crack chasing and installing a 3 coat Plexipave Netball System including Acrylic Resurfacer. 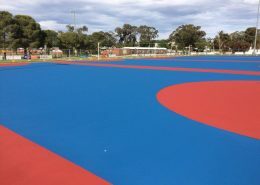 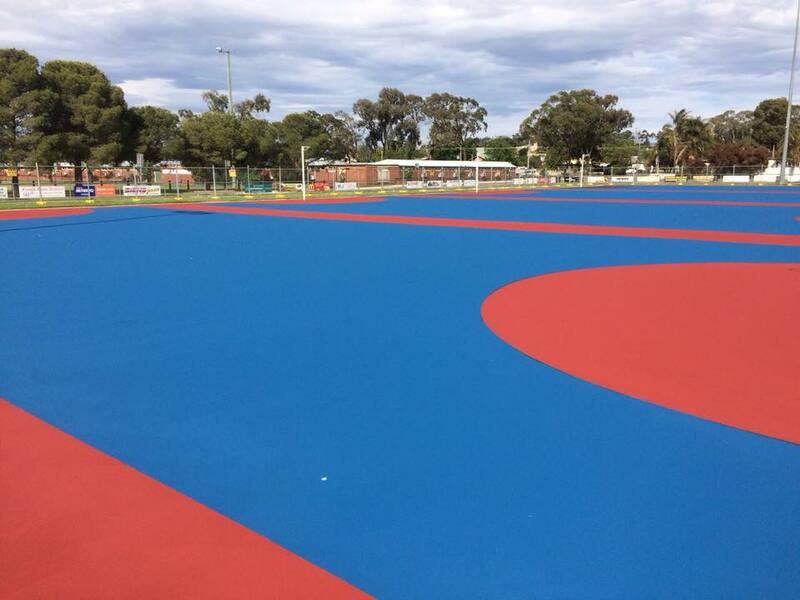 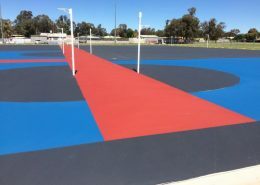 The courts were surfaced with California Red and Velocity Blue with line marking for netball and Fast 5.